The aim of this project is to make the Internet technology available for the citizens of Zrenjanin as a wide-ranged and unlimited source of information. The unfavorable economic situation in the country and a relatively small number of computers in private homes make it difficult for citizens, pupils, students and intellectuals to be acquainted with the contemporary information concerning science, culture and other fields. Here the young people are able to work on WEB publishing and they are encouraged to be open towards the world and to show their creativeness. A library is also being founded comprising books and magazines from different fields: computer technology, science, culture and politics. There will be also the magazines in the languages of the national minorities living in Banat. In its later phase, the library will sell books and magazines for lower prices than in bookshops. 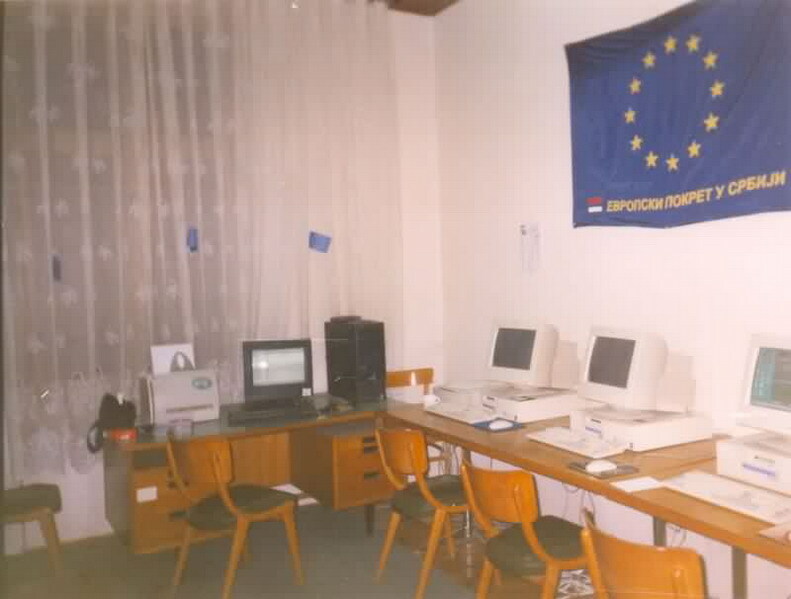 "Interteka EmiS" was founded thanks to the Fund for open society, which donated computer equipment to the Local council of the EMiS.